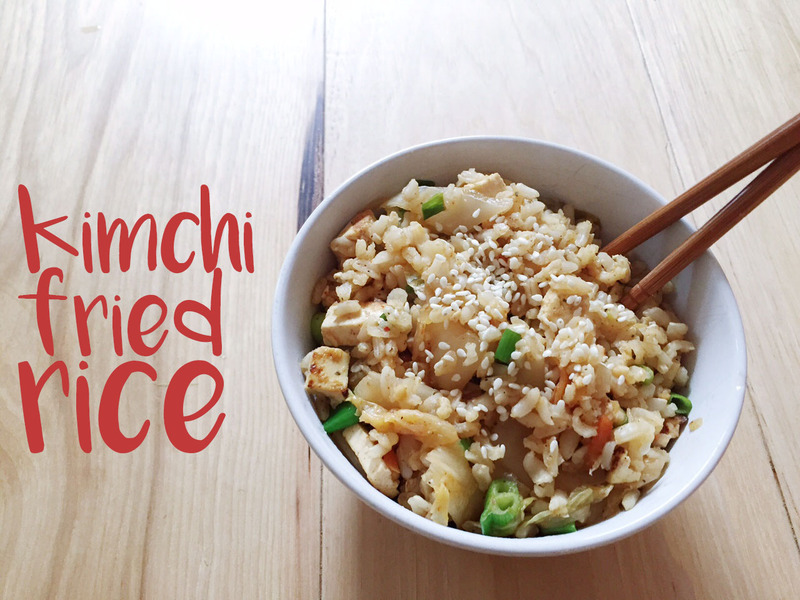 This is a really easy dinner to throw together if you have some rice on hand. I usually make a batch on sunday, to use for the week; sometimes I do a double batch and freeze some so I can throw quick dinners together. Usually the rice cooking is the longest part of making dinner. You can definitely customize this to your liking – add more vegetables for sure. I needed something quick and I’m always looking for ways to eat more kimchi and this was perfect. Heat your wok and add about a tablespoon or so of oil. Throw in your onions, garlic and tofu. Saute until onions are soft and tofu is golden; be careful not to burn. Add your kimchi and kimchi juice and swish around a little bit. Throw in your rice and add the soy sauce ; Cook until heated through and add the green onions.